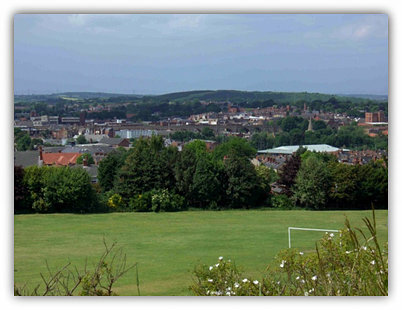 In January 2004, the Coalfields Regeneration Trust awarded Warsop Vale Village Association £23,990 out of £440,000 awarded to 8 organisations in the East Midlands to help to breathe new life into a community left devastated by the closure of the local pit and several others in the vicinity. 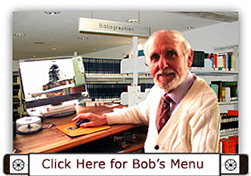 The scheme provides grants to other voluntary groups. The leaders of the UDM became embroiled in a ‘fat cat’ salary row. As printed in the local press It appeared that Neil Greatrex President earned around £100,000 and Mick Stevens General Secretary around £90,000, albeit that the number of members had sunk to an all time low of just a couple of thousand or so and would continue to fall. At Kellingley and Hatfield in Yorkshire had stalwart NUM members whereas there were only a few in Nottinghamshire. MPs raised questions in Parliament regarding the amount solicitors were making out of compensation claims made by miners or ex miners. Nottingham North MP (Lab) Graham Allen and Paddy Tipping MP (Lab) for Sherwood were leaders in the debate on how much solicitors were making out of cases, often as much as £8,000. (See later). John Mann MP (Lab) for Bassetlaw was a big campaigner regarding the claims. Watnall site adjacent to M1 still had the 4 old brickworks chimneys until demolished within a short time. The three Nottinghamshire collieries still open and operating in 2004 Harworth, Thoresby and Welbeck continued to reshape tipping areas with a covering of soil and grass and tree planting the waste area for regeneration. Sites in Derbyshire such as Shirebrook, are continually being worked on to create areas for development; Pleasley tip was reshaped, grassed and the trees that were set are now creating a pleasant view for travellers passing along the main road, and a Country Park opened for wildlife, birds etc, whilst the work by volunteers to maintain the Grade II listed buildings old headgears, chimney and back to back engine house for a proposed museum is steadily progressing. By 2007 the winding engine for the North shaft was in working order and pristine condition. An open weekend is organised by the Friends of Pleasley pit (Chairman Bob Metcalfe) every September and attended by numerous people. The Markham colliery site adjacent to the M1 motorway has been allocated for industry. A new access was made on the M1 named junction 29A. The Arkwright site where the old colliery rows were demolished following gas emission, was relocated to a lovely modern village a few hundred metres away, whilst the site itself was excavated for opencast mining. A former Nottinghamshire miner Terry Butkeraitis (53) staged a protest in London in February 2004 in a bid to highlight the state of the coal industry. With 3 other ex-miners he stood outside the Department of Trade and Industry and demanded action from the Government. A petition was handed in. It was the 20th anniversary of the pit strike and the whole mining community is still suffering, as lack of jobs in the mining villages since the pits closed, has led to an upsurge in crime and drug abuse and a general decline within the communities that were based on coal mining. Paddy Tipping Sherwood MP (Lab) agreed that there was a strong case for coal, but stated that the Government was already investing huge amounts of money to help to keep the remaining pits open. One good thing one could say about the big Colliery Companies of the 19th Century was that some employed their own ‘Constable’ to keep the workforce and their families in check and woe betide anyone leaving any litter or even not keeping the inside of the company house tidy would be taken to task, firstly with a fine, then possible sack and removed from the rented accommodation. The system may have seemed harsh, but look what has happened to many of the old pit villages and most towns in Britain today! The British Coal Corporation finally came to an end on 27th March 2004. The Corporation was dissolved following the making of a ‘Restructuring Scheme’ under the Coal Industry Act 1994, which provides for the remaining assets and liabilities of British Coal to transfer to the (Dti) Department of Trade and Industry. Unfortunately once again, damage was done to the industry by threatened strike action in the neighbouring county Yorkshire, where members of the NUM at Kellingley imposed a total overtime ban over the plan to introduce new shift pattern arrangements to accommodate some 240 odd Selby miners when that complex began the run down to closure. The plan to withdraw labour 2 days a week would not only practically halve the miners’ pay, but could end up closing the mine if production does not continue at profitable and dependable rates then the customers will look elsewhere if supplies are in doubt. It could be disaster. It appeared that common sense prevailed and the first 40 ex Selby miners were given ‘familiarity training’! It is 20 years since the last the last disastrous year-long strike which ended in a humiliating return to work after failing to stop most Nottinghamshire and a few Derbyshire and Leicestershire miners working. If only a proper democratic vote has been taken! The mighty Yorkshire Coalfield of the past was now reduced to six pits and after July 2004 only three. A golden opportunity arose, possibly to be able to export coal once again when the last deep coal mine in France was closed in May 2004. 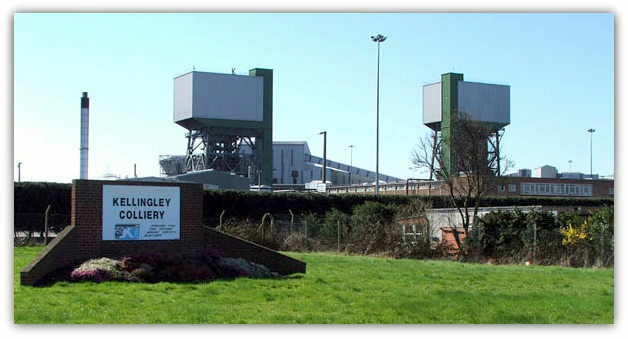 The miners at Kellingley (Yorkshire) decided to call off their strike action in early September 2004 and new contracts were signed. Commonsense prevailed, but for how long? UK Coal shares on the stock market rose to 162p. (See February 2005). However following closely was the threat from the European Union anti-pollution directive of last year which was aimed at limiting the levels of sulphur that coal-fired power stations are allowed to release into the atmosphere, and has to be implemented by 2008. Harworth Deep Soft coal 2.5% average sulphur content, and Welbeck 1.85% (Rossington and Maltby 1.35%). If the Labour Government was to press ahead with the legislation, then I fear as I stated many years before that it would be the end of deep coal mining in Britain, and the loss of thousands of jobs! Paddy Tipping (Lab) MP for Sherwood, Chairman of the House of Commons all-party energy group called on the Government (Lab) to save the British coal industry. Renewable energy is now an obligation under EU rules and at present costs up to 3 times as much as coal. Today there are several companies offering this type of energy. Energy Minister Stephen Timms (Lab) had awarded £2.2m in funding in May 2004 for 24 solar energy projects one might say, once again, governmental confliction of ideas! Environmental Minister was Lord Whitty (Lab) and Trade and Industry Secretary Patricia Hewitt (Lab).